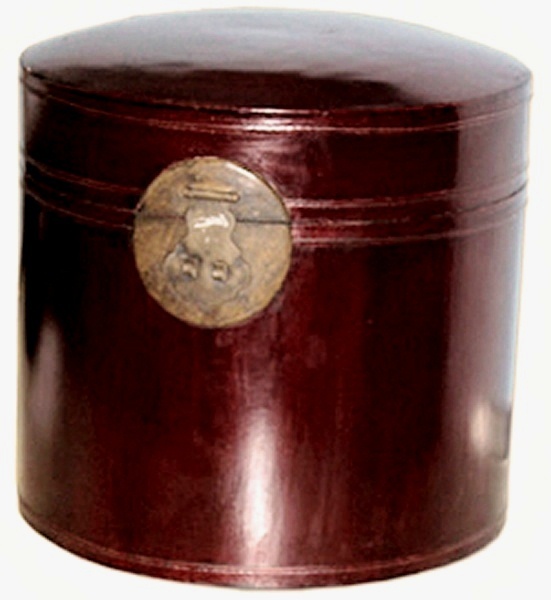 Round leather scroll box with an attractive domed lid. It originates from Shanxi, China and was made in the late 19th Century. The lock and fixings are made from brass.